It’s going to be a “buzzy” month for us! When we thrifted this vintage 1.5″ pin-back button over the weekend, it was a subtle reminder of how busy we are going to be making buttons over the summer months. We prepare for this months in advance, so meeting tight deadlines is never problematic. 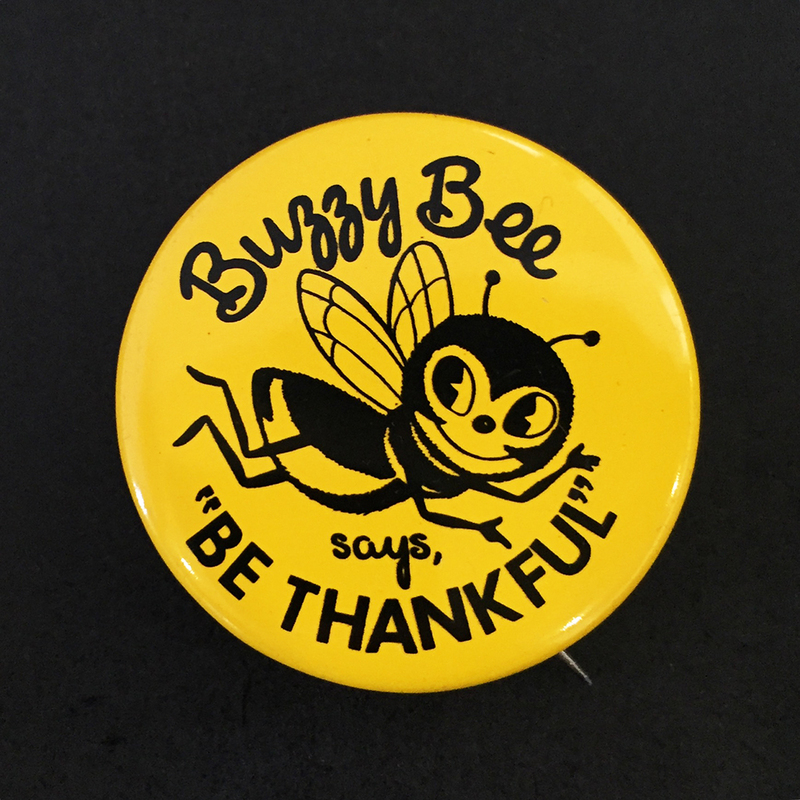 The Buzzy Bee character on this button is based on very popular toy in New Zealand. Fisher-Price manufactured Buzzy Bees from 1950 to 1956. Buzzy Bee was originally covered with paper lithographs depicting a yellow bee with pink cheeks, blue eyes, and striped tail. The bee had two spring antennae topped with red beads. 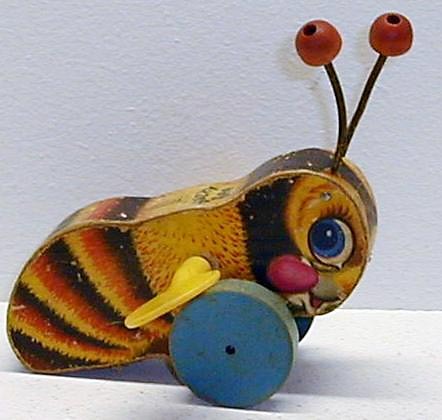 Yellow acetate wings rotated and the toy made a “buzz-buzz” sound as it was pulled along on two wooden wheels. Queen Buzzy was manufactured through the mid-1980. We are thankful to have found this button in such mint-condition, given the age to when it was produced.